Author’s Cars; The search is over. In a slightly disappointing note, I had to sell my Bluebird recently as another car popped up on TM that I have been searching for a variant of for many years. It’s not exactly what I was after but I’m still pretty stoked as it’s the most important thing. Stopped outside Hinds awesome car garage on the way home. 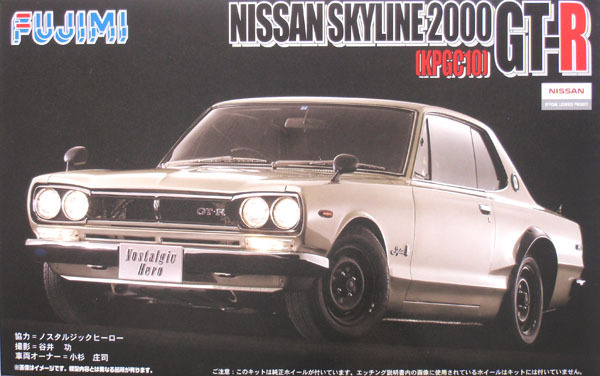 In case you’re unaware, it’s a 1983 Nissan Skyline GT-EX Coupe. So. Freakin’. Stoked. It’s currently not running and needs a few bits of work done on it to get it up to scratch. 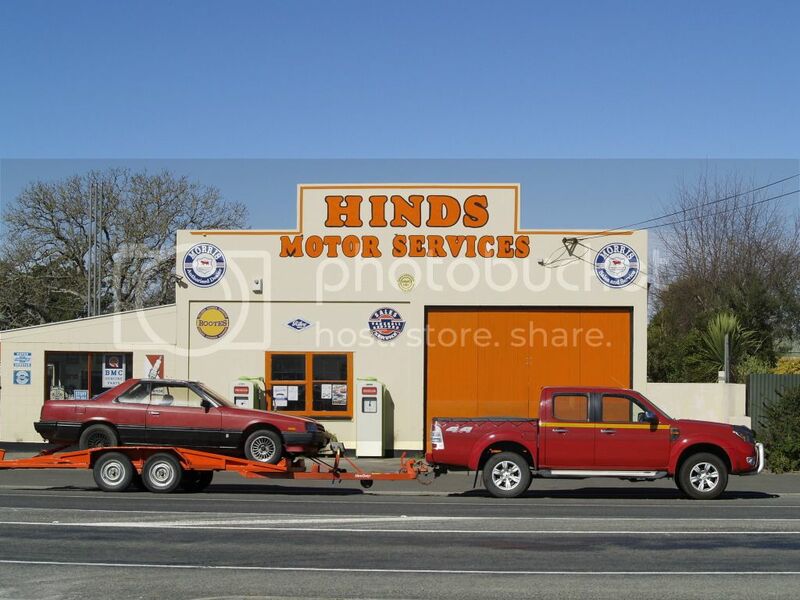 The trademe ad claimed it wouldn’t take too much to get going but it’s got no sump or pick-up and the engine is in an unknown state of repair, no exhaust system and monster truck tyres. The manual conversion is average at best but nothing that can’t be fixed. It’s factory L20ET, R200 rear-end, disc brakes all round, awesomeness just waiting to happen. The first thing I did after I got it home and the weather allowed was to re-attach the driver’s side door card which had been taken off to look into why the electric window wasn’t working. I’ll get onto that later after I’ve bought a battery to see just how much of, if anything, of the electrical system is still wired in. The interior is in pretty good condition, for its age very good, really. In between more weather I managed to “repair” the passenger door pinching on the fender and not opening/also bending the fender. Then today I got a little lazy and rather than trying to repair anything I thought I would try on the SSR’s I have on the Sunny. 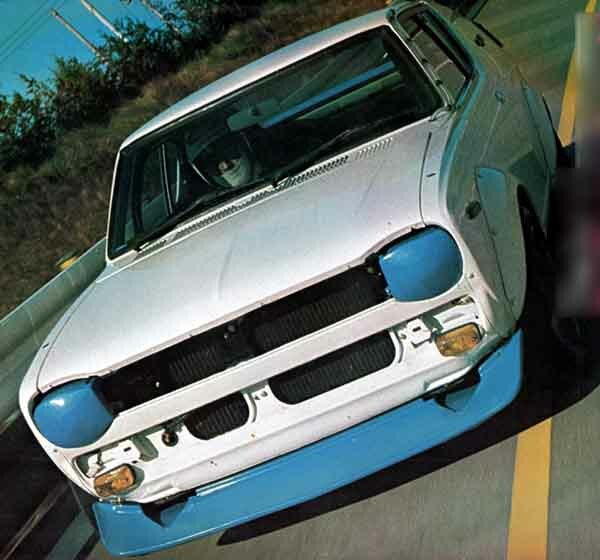 A-series, 70′s Fuel Injected Awesome in FWD format. On track, what’s not to love? 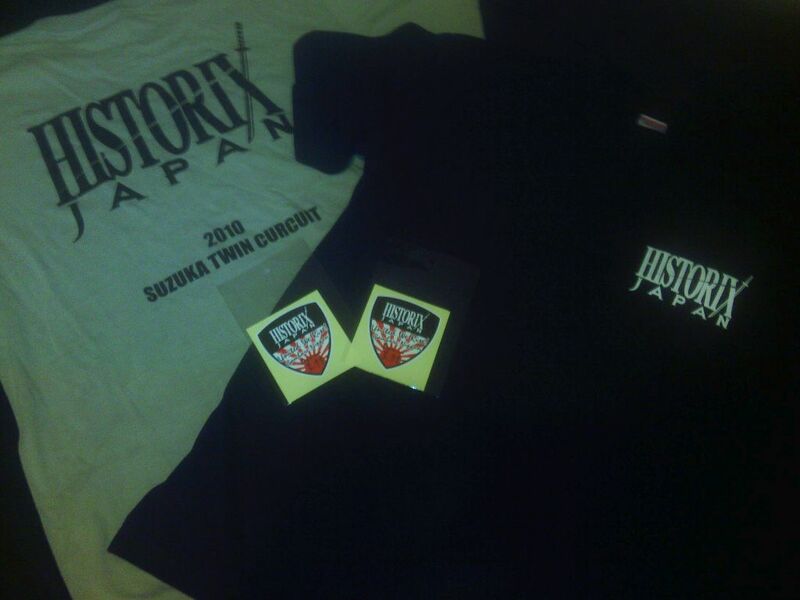 Alright guys with much thanks again from ewan@hayatonka.com I have a few XL sized Historix Japan tshirts to give away. Unfortunately I’m far too slight of frame to be able to use either of these shirts without looking like I’m trying to be an american gangster. I also have a couple of stickers to go with as you can see in the picture, one for each shirt. I apologise for the terrible photograph, my cameras are both flat and the cellphone was all I had. If you’re interested, let me know what celestial car shares the “110″ as part of it’s name/code. 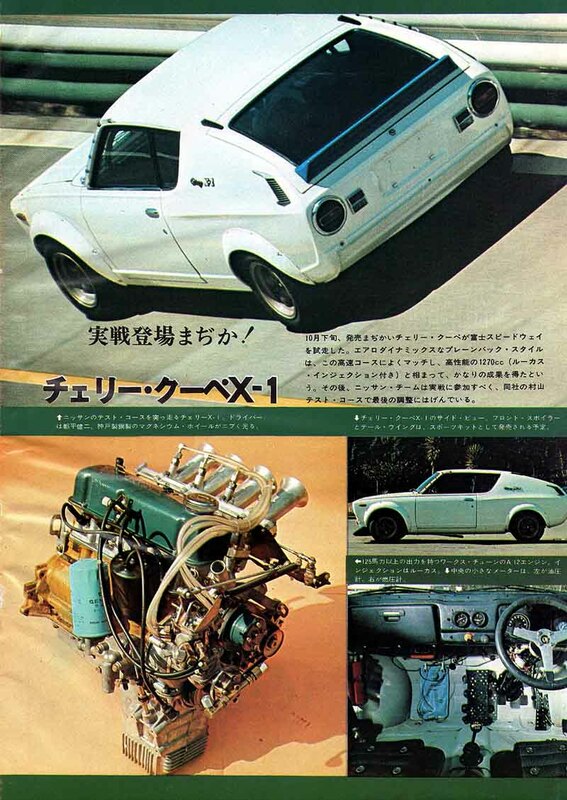 (NOTE: It’s not a Nissan so don’t start with B110, S110, etc.) as with last month, all correct answers will go into a draw and two winner’s drawn from there. P.S. I’ll notify the winner’s of last month’s competition soon. Hey guys, I just had word from Ewan @ Hayatonka that he’s planning on a tour for the Historix Japan car meet, if you’re keen on going, GET IN CONTACT WITH EWAN! Imagine the fun. Japan, Awesome cars, Japan, Ewan, Japan, Holiday, Japan, Travel. I can’t make it this time around but I will be getting over there in the next few years. One month missed = TWO KITSET GIVE-AWAYS! This one is up for grabs if you can tell me what the nickname for it roughly translates to. I could have take a photo of the box seeing as that particular kit is a bit harder to find online it seems, but I didn’t so it is what it is. 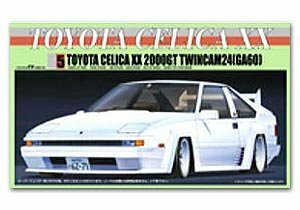 Who is the best person to use when you’re buying parts from Japan? Again, big thanks to Hayatonka for providing this for you guys to win as well as providing such a fantastical service.